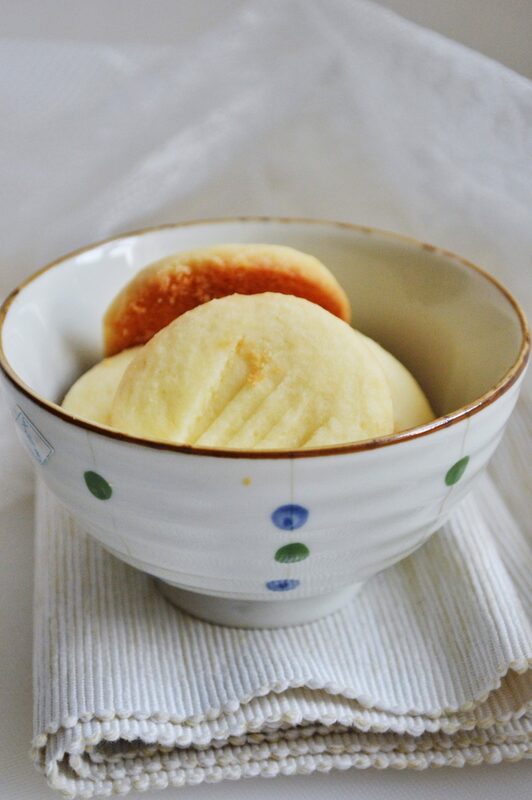 There are so many butter cookie recipes out there! Its hard to pick a favorite. However, I’ve seen that my people particularly give these melting moments cookies special attention. They are so addictive that every time i make these, everyone snacks without stopping until they are all gone. 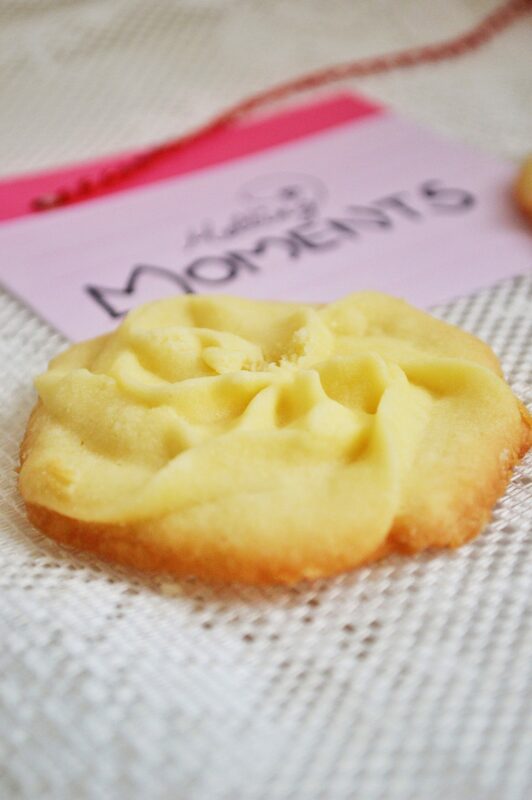 Melting Moments cookies are aptly named for their buttery and crumbly texture. They literally melt in your mouth as soon as you take a bite. You get this melt in your mouth texture mainly because of the corn starch you use. That is the magical ingredient. 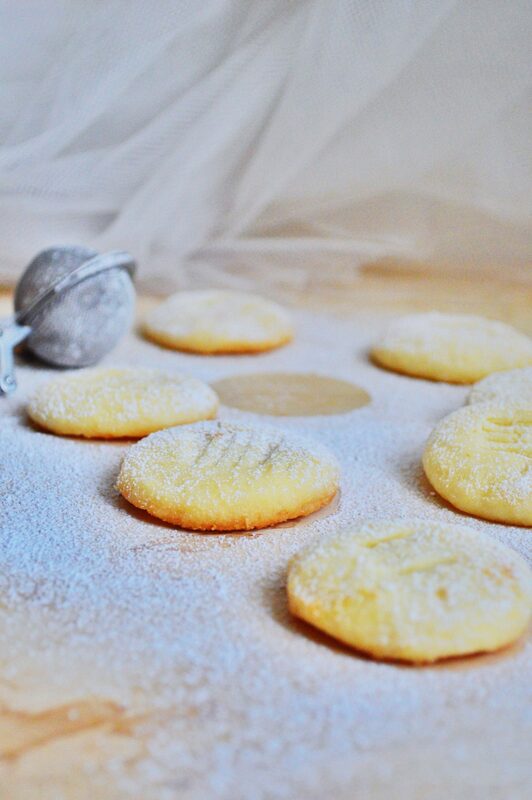 The powdered sugar used instead of the granulated sugar also contributes to the tenderness. They’re very easy to make as the recipe consists of just a few ingredients most of which you will probably have in your pantry. The only 2 things that you must keep in mind are to use room temperature butter, and to chill the dough to let it firm up and to prevent the cookies from spreading while baking. 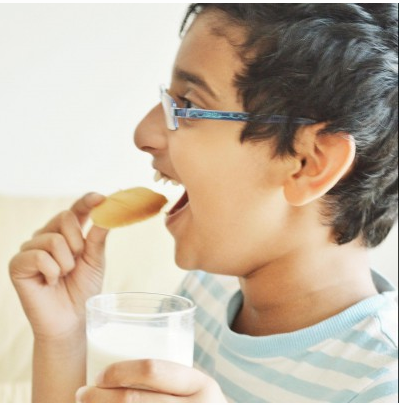 You can serve these easy-to-bake eggless sweet treat at tea parties. These make perfect edible holiday gifts too. It looks extra gorgeous with the powdered sugar coating. 1. Preheat oven to 160oC/325oF. Line baking sheet or flat oven tray with parchment paper. 2. 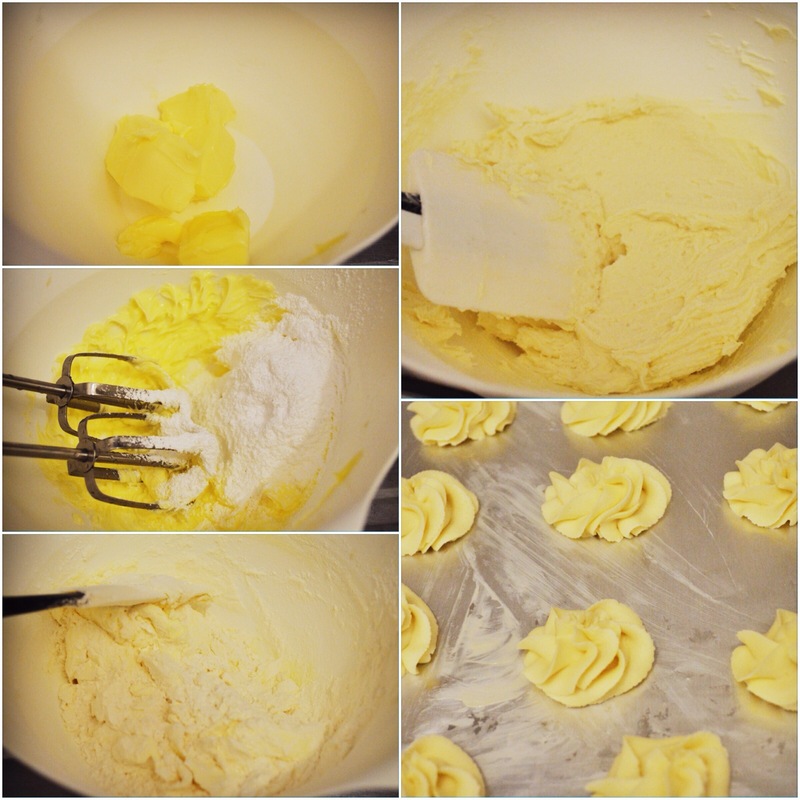 Beat butter, vanilla and sifted icing sugar in a small bowl with electric mixer until light and fluffy. Transfer mixture to large bowl, and stir in sifted flours using a wooden spoon. Chill in the refrigerator for 30 minutes. 3. With floured hands, roll rounded teaspoonfuls of mixture into balls. Place balls about 2.5cm apart on trays to allow room for spreading, and then flatten slightly with the back of a lightly floured fork. I used star nozzle to pipe rosette shaped cookies too. 4. Bake cookies about 15 minutes or until just cooked through and light golden. Stand 5 minutes in tray before lifting onto wire racks to cool. Dust with extra sifted icing sugar before serving, if you like. ✔️ Unfilled biscuits will keep in an airtight container, between sheets of waxed or parchment paper, for up to a week. Use metal tins to keep the biscuits firmer. ✔️This basic recipe is highly adaptable. Try using custard powder instead of corn flour for a delicious twist. ✔️ Use ½ teaspoon cardamom powder instead of vanilla extract, if you like. 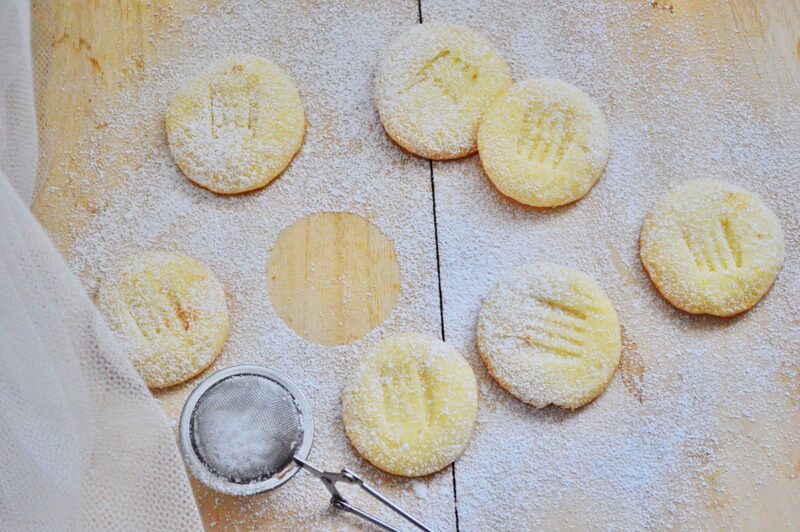 ✔️ You can emboss the cookies with lovely motifs using a cookie die, medallion, coin, or just leave them plain. Beat butter, sifted icing sugar and rind in small bowl with electric mixer until pale and fluffy; beat in juice. Sandwich cookies with butter cream. Beat butter, vanilla and sifted icing sugar in a small bowl with electric mixer until light and fluffy. Transfer mixture to large bowl, and stir in sifted flours using a wooden spoon. Chill in the refrigerator for 30 minutes. With floured hands, roll rounded teaspoonfuls of mixture into balls. Place balls about 2.5cm apart on trays to allow room for spreading, and then flatten slightly with the back of a lightly floured fork. I used star nozzle to pipe rosette shaped cookies too. Lets go to angies Fiesta Friday with these cookies. Sometimes simple is best. These are perfect for tea time or anytime. Wonderful, Sadia! These are just beautiful Sadia. I am drooling just thinking about them melting in my mouth! Your photos are gorgeous too! 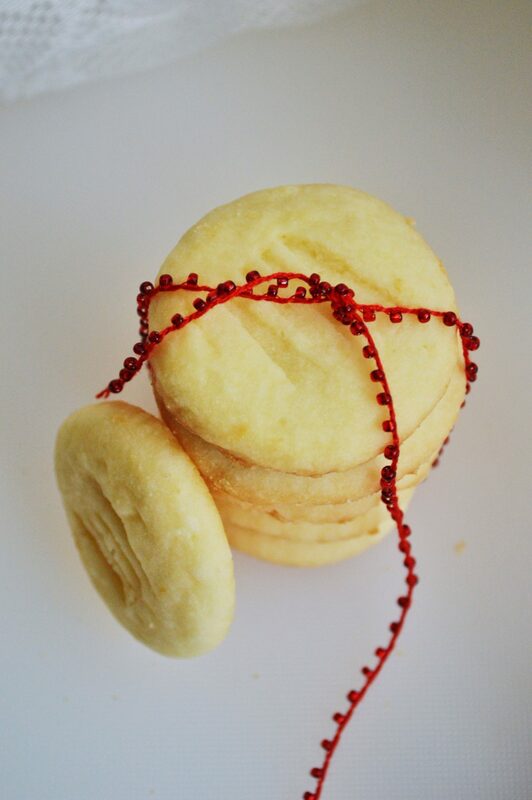 Love butter cookies and these look so yummy!! 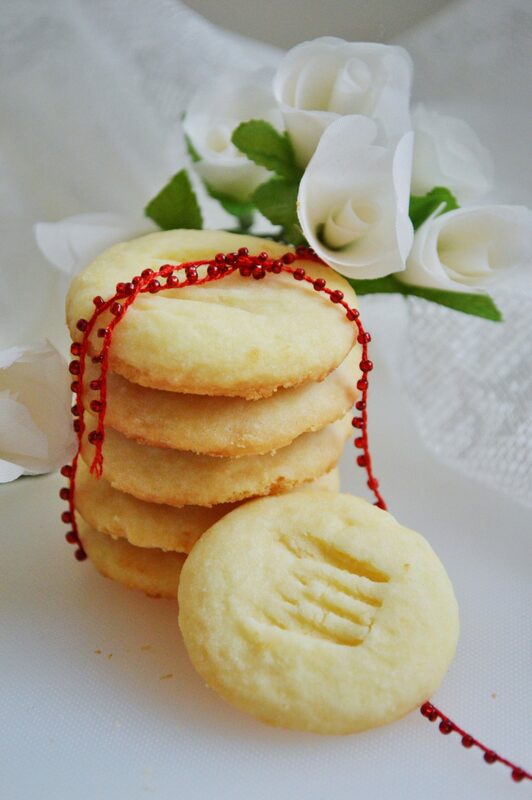 Those are really nice Sadia, love cookies so tender they melt in the mouth and simple butter cookies are so delicious, they look wonderful. 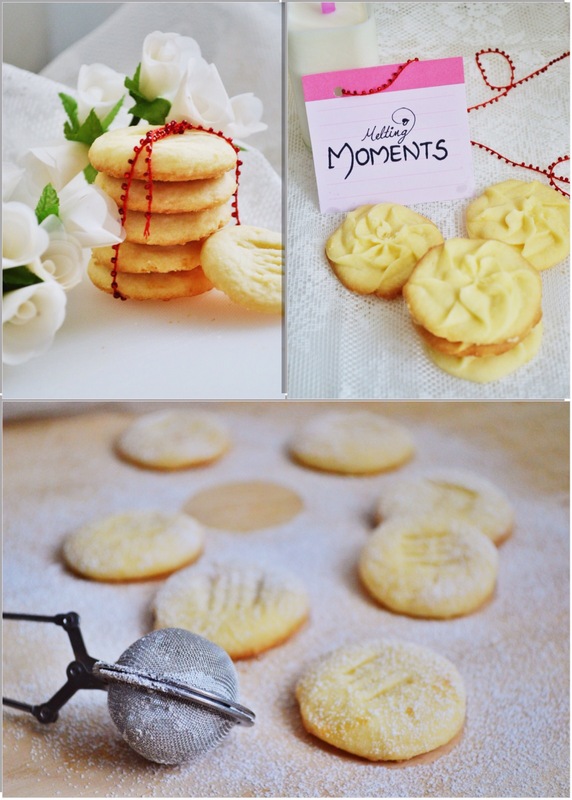 Mouth watering and beautiful pictures of melting moments! It brought back warm memories of my mom for me. 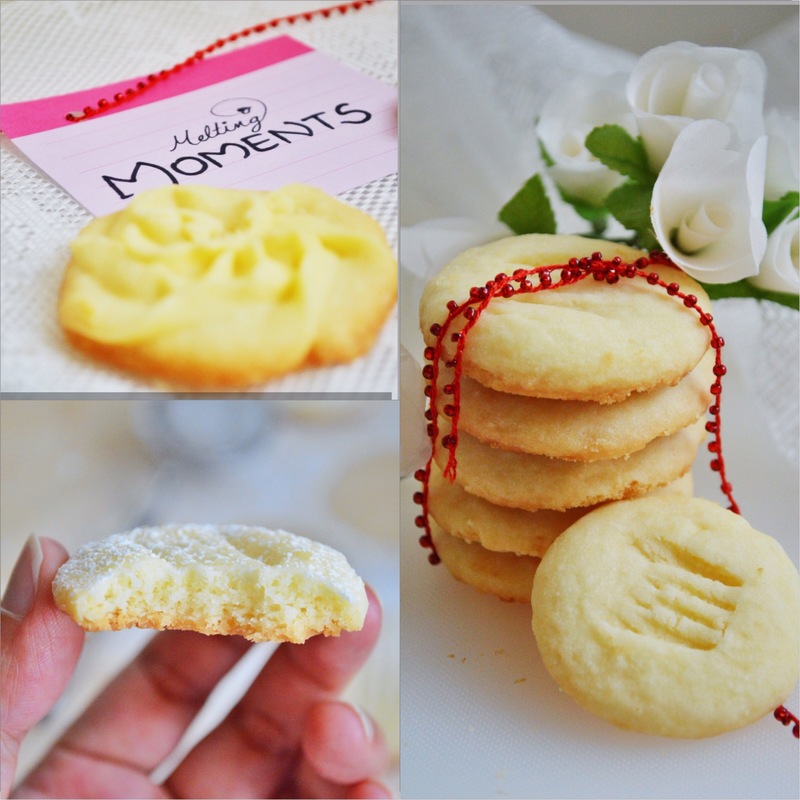 She used to make Melting moments and I had forgotten about these treats after I lost her years ago. They look absolutely stunning! I love the design on the top – perfectly understated! Have a good week! I have never tried making these, but your pictures are very persuasive! 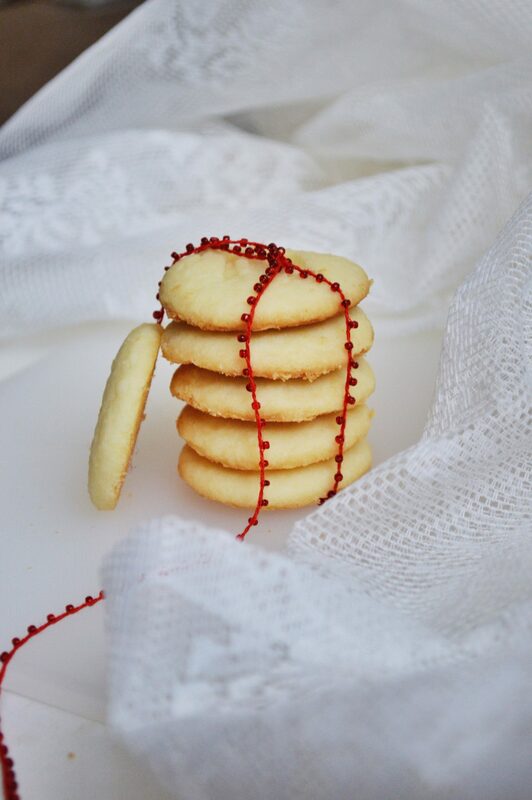 Winter and Christmas period are not the same without cookies… love the name you gave to your recipe and your photos, very professional! Have a great 2015! N yeah i did grease the aluminium foil with butter. But i guess that is not needed, i just wanted to be on the safe side so that the cookies wont stick to the bottom. But coz of the butter in them it wudnt stick anyways. Oooh im sorry i forgot to mention about the foil. Ill update the recipe. Hey there! Tomorrow is the tea time event, isn’t it? How do i participate? I should post in my blog and give link to yours? yes..its open for a week and a half so a bit of time to sort a post out. I will be posting it 5am UK time, so you can link in from this time, there is a badge at the bottom of my post, cant wait to see what you have brought and if you have any problems, jst give me a shout. 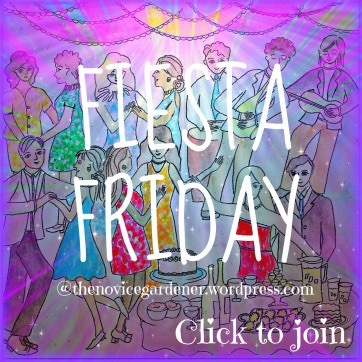 There is a page on it on my blog if you want to re-cap on how to join in 🙂 Look forward to seeing you tomorrow yay hoorah! Ooh kk. So i dont have to post today itself yeah? Can post anytime in this week, am i right?